American rapper Lil Wayne and Coldplay are the major nominees for the 2009 Grammy awards. The award ceremony takes place in February. Wayne - real name Dwayne Michael Carter - scored eight nominations on the back of his album Tha Carter III, which sold one million copies in the United States during its first week. 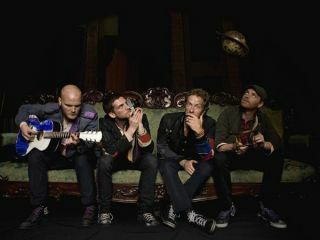 Coldplay followed with seven nominations, while Kanye West, Jay-Z, and R&B singer Ne-Yo all received six. The list of nominees contains an unusually strong British contingent. Coldplay, Radiohead and former Led Zeppelin frontman Robert Plant (with Alison Krauss) are all up for best album. And a British artist is sure to win the coveted record of the year award. Coldplay are nominated for their song Viva la Vida, and face Adele (Chasing Pavements), Leona Lewis (Bleeding Love), MIA (Paper Planes) and Robert Plant/ Alison Krauss's Please Read The Letter. Other British acts with high-profile mentions include Duffy and Adele, nominated for best new artist, a prize that once went to The Beatles. See the full list of nominees at the Grammy awards website.